Following his words, Jinnah unfolded cabinet appointments and sprang no surprise. In the country’s first cabinet, foreign affairs rested with Sir Mohammad Zafrullah Khan, law, justice and labour with Jogendra Nath Mandal, finance and statistics with Sir Victor Turner and minorities and women with Ms Sheila Irene Pant. No one dared to say at the time that Zafrullah Khan was an Ahmedi. To the eyes and ears of the present generation who have been fed propaganda for many decades, Jinnah’s words and deeds may seem alien. Had Jinnah lived to see the constitution of the new state drafted, we would have had the most progressive of states and the most dynamic of people united in equality. Unfortunately, Jinnah’s untimely death let loose the forces of darkness that dared not confront him in his lifetime. However, the majority of secular-minded leaders in the Muslim League got carried away by the craftsmanship and guile of the clerics and did not foresee the inherent dangers in this resolution that should have been obvious. They fell into their trap and failed to see that it was a battle for power that the clerics had lost in Jinnah’s life and now wanted to win discreetly. The only way they could retain any political power in a democratic Pakistan was through making religion a bogey, and in this they succeeded. The leadership beyond Jinnah was less visionary and even Sir Mohammad Zafrullah Khan, an Ahmedi, supported the resolution, which meant that laws in Pakistan were subject to human interpretations of divine law and allowed the state interference in spiritual matters. That such interference would later make him lose his proclaimed religion eluded him. The fact that politically motivated interpretations had divided the human race and had caused immense misery to countless people throughout the centuries was foolishly overlooked. It can be safely said that the majority of the lot forgot that the state had a social contract with all its subjects and not just Muslims. It should be noted that, till as late as May 1945, Shabbir Ahmad Usmani remained a member of the working committee of the Jamiat-e-Ulema-i-Hind, which vehemently opposed the creation of Pakistan. Nothing is on record to suggest that he ever tried to change its policy. Apparently, he was wise enough to see that the masses were in favour of Pakistan and political expediency made him change course to become the first president of the Jamiat-e-Ulema-e-Islam, formed in Calcutta in October 1945. This brought him to later favour the Muslim League near the 1946 elections. His clever politics served his Deobandi school extremely well as they managed to take religious leadership from the Barelvis although the latter enjoy a majority. This lead has since multiplied as these elements later started receiving finances from Saudi Arabia to which they were ideologically nearer. Their disproportionate influence in politics has provided Saudi Arabia with a foothold here, allowing it to meddle in our politics. In hindsight, Saudi influence in Pakistan can be attributed to this man. Remaining silent in Jinnah’s lifetime, Usmani famously demanded jiziya (tax) from non-Muslims in the Constituent Assembly and told Pakistan’s first minister for law and labour, Jogendra Nath Mandal, a Hindu, that non-Muslims should not hold such key posts. Mandal ultimately resigned from the cabinet in disgust in 1950. The extremely dangerous term “key posts” in the dictionary of the politico-religious dictionary of Pakistan is Mr Usmani’s gift. 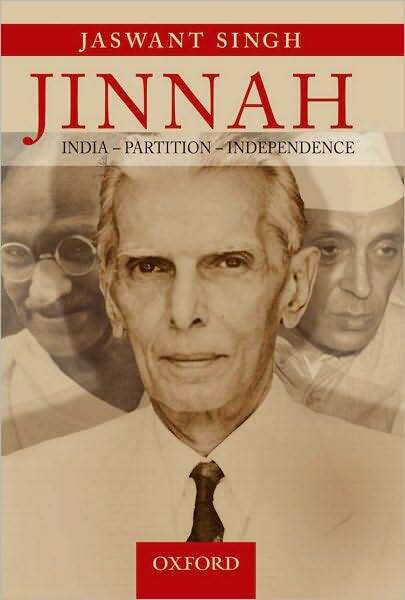 However, the impact of Jinnah’s legacy was to stay for a while and the constitution of the state remained secular in substance with the Objectives Resolution remaining a part of the preamble and not of its main operative body. Even when the present constitution was drafted in 1973, the resolution remained a part of the preamble and required a push by the extremist General Ziaul Haq to find its way into the main body. There has been no going back since then. This year, from Minto Park where the Pakistan resolution was passed, the right wing started its ‘ideology of Pakistan march’. Propaganda was chanted and no mention of Jinnah’s vision made. Since the post caliphate period, clerics almost everywhere have divided the people and the faith they claimed to be serving has suffered. Their role in the affairs of Pakistan has done the same. They have succeeded in dividing its people, taking away the rights of the vulnerable, rituals have taken over substance and humanity has been the net loser. Giving his view on theocracy, Thomas Jefferson once said: “The clergy, by getting themselves established by law and in-grafted into the machine of government, have been a very formidable engine against the civil and religious rights of man.” He stands proved right in our land too. Can the youth see beyond propaganda? In the answer lies the future of the Pakistan Jinnah created and the clerics have made hostage.